When you grow up in Malaysia, coffee means something special: a ritual. It’s an artform, pouring boiling water into a cloth filter bag, filled with aromatic coffee grounds, to make a strong black kopi O. 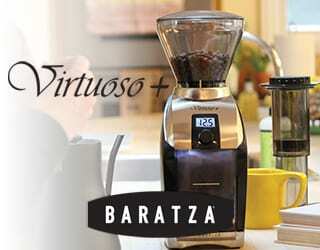 And if the roaster used sugar or butter during roasting, your coffee will gain a sense of smoothness. Add a layer of condensed milk for even more character. 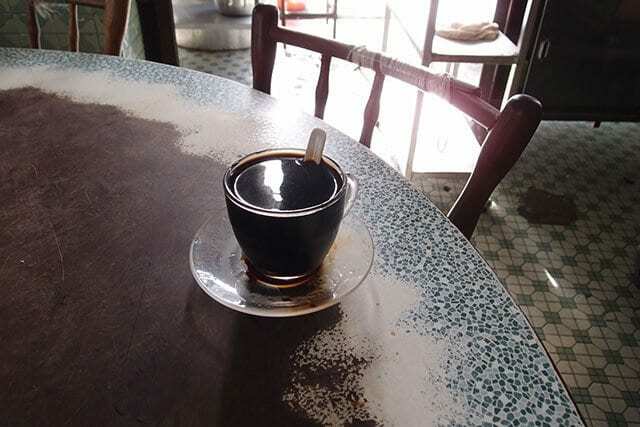 At first glance, this traditional Hainanese coffee couldn’t be more different to the third wave that’s sweeping Penang. 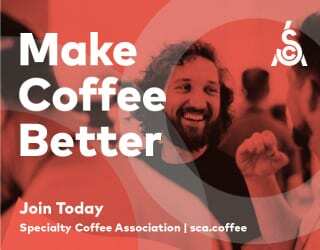 Yet look a little closer, and you’ll see there are ties between the two – and that there are some things even Nordic-influenced specialty roasters can learn from the Hainanese masters. 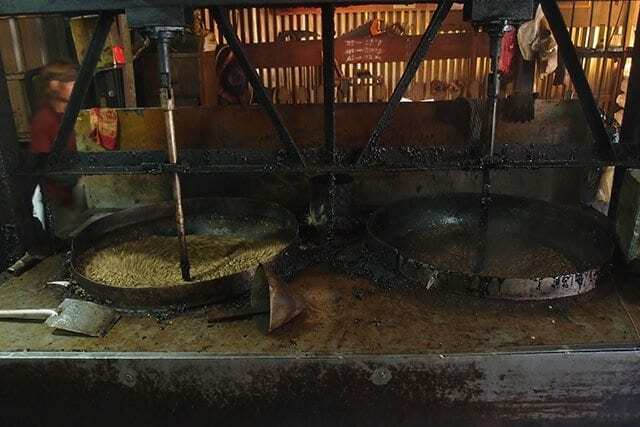 So we visited Kenny Oo, a third generation traditional coffee roaster, to find out more. Brewed coffee grounds in an Hainanese cloth coffee filter. Malaysian coffee culture emerged during British colonization in the 18th century. Many of the Hainanese who migrated to Malaysia during this period worked as servants for British officials. It led to the introduction of Western cuisine, such as red tea, white bread, and soft-boiled eggs. And it wasn’t long until tea and coffee started appearing on the menu everywhere. 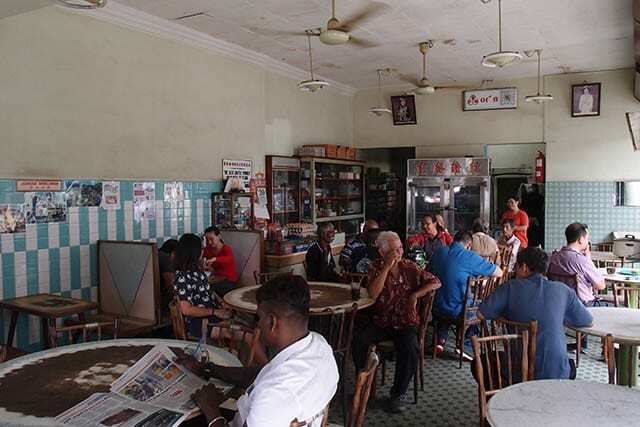 Locals get breakfast in the 50-year-old kopitiam (kopi-shop) Toon Leong Coffee Shop, Penang. Fast-forward to just after the millennium. Locals returning from work or studies in countries such as Taiwan, Australia, and Britain have brought third wave coffee with them. In Penang, it wasn’t until 2011 that the number of cafés started to mushroom. Their bohemian vibes and Instagram-worthy interiors offered an alternative to coffee shop chains such as Starbucks or Coffee Beans. And over the years, those trendy cafés have continued to grow, introducing Penangites to a new type of coffee: one that values light roasts, natural sweetness, and high-quality beans. 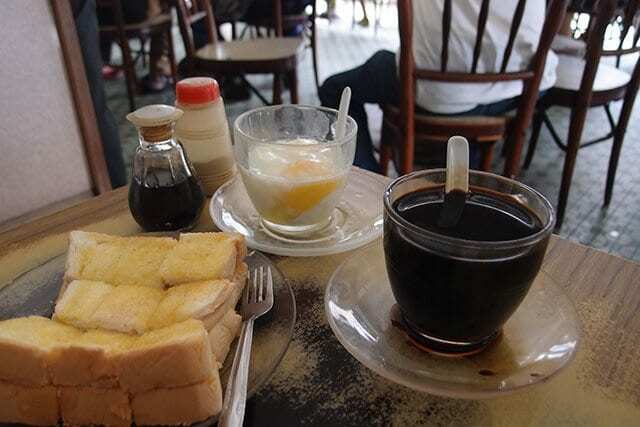 A British-influenced Malaysian meal: kopi, kaya (coconut jam) toast, and half-boiled eggs. 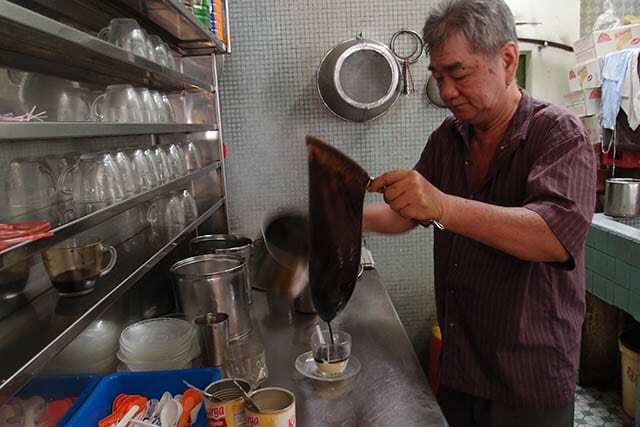 What Is Traditional Hainanese Coffee? 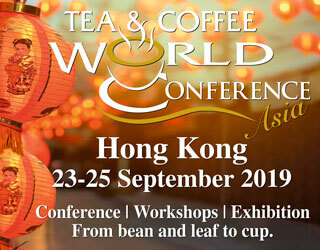 Third wave roasters want to highlight the pure flavor of the coffee bean; traditional Hainanese roasters want to add flavor to the coffee beans. Kenny tells me, “Coffee beans are first roasted. Sugar, butter, and sesame are added on at the end. The ratio of green beans relative to other ingredients is based on the customers’ preferences [which are] due to budget and taste. 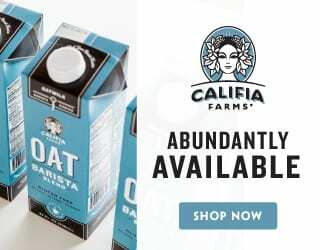 A ratio of 80% coffee and 20% added ingredients is a common preferred blend. 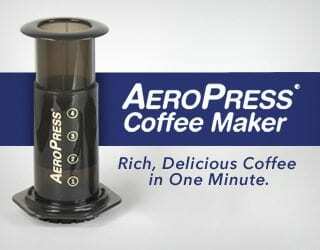 Kenny Oo’s semi-automated coffee roaster. It’s not easy adding extra ingredients to coffee: sugar and grains don’t react to heat in the same way that coffee beans do. The white sugar is added as the roaster stirs the beans. You know the coffee is done when those beans become fully enveloped in boiling caramel. Thick white smoke will begin to fill the room. 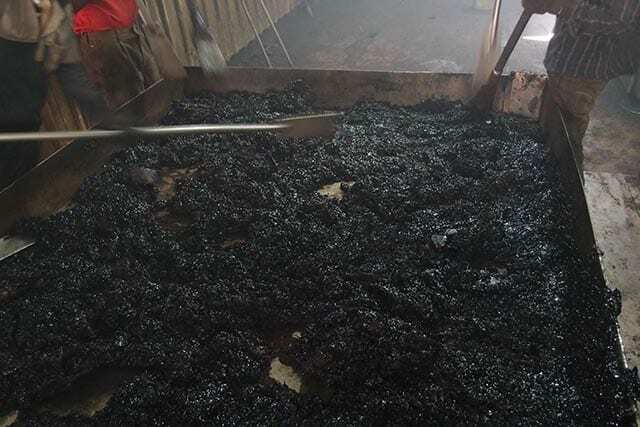 The coffee beans will be unloaded onto a big tray, and workers will rapidly stir the blend with metal shovels to cool it down. 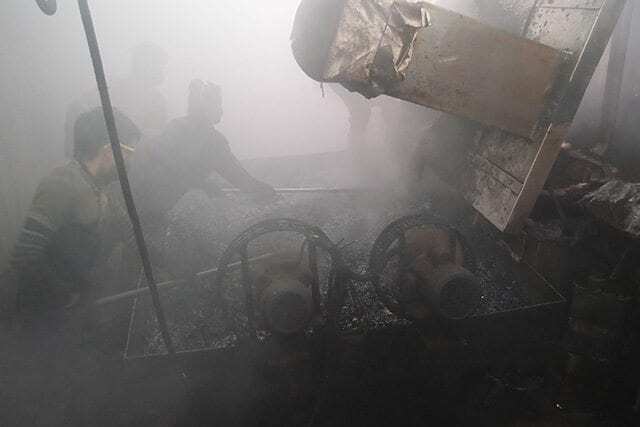 Large fans will help them, while they will wear cloth masks to protect themselves from the smoke. They cannot take a break from their work: if they stop stirring, the beans will turn into chunks of hardened caramel. Roasted coffee is unloading onto a metal tray. Fortunately, they only need to stir for five minutes or so. At this point, the mixture will have cooled and the coffee can be ground. At Kenny’s roastery, the grinds are then packed into aluminum tins, ready to be distributed to local coffee shops. 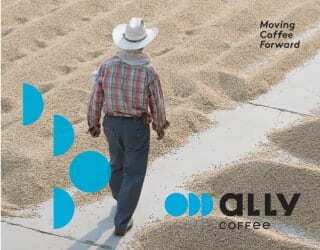 Coffee wholesalers, who have often been patiently waiting outside, will quickly set off for delivery. 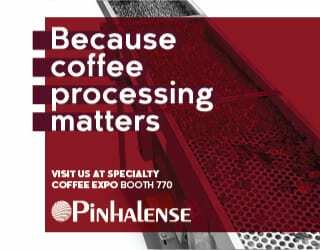 These coffee beans can be used immediately – just one more key difference between specialty coffee, which is left to rest and reach its peak, and Hainanese. Yet despite these (often dramatic) differences, there are more similarities than you may realize. Workers cool down the freshly roasted coffee beans with metal shovels. I ask Kenny how he monitors the quality of his beans; he tells me that every batch is a customized blend for specific customers. While the third wave may focus on the best profile for the beans, Hainanese coffee focuses on the best recipe for the consumer’s taste. And both are rigorous in their work. 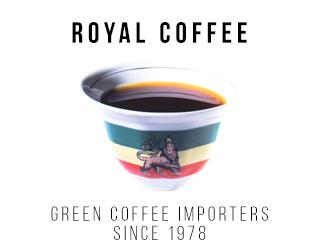 Hainanese coffee has been a part of Malaysian culture for the past 50 years: our forefathers treated it like a dish, adding sesame, butter, and sugar to enhance the flavors of the region’s coffee beans. Passion and hard work are what makes this traditional drink the way it is today. And that hard work, attention to detail, and focus on using the best recipe possible – they are also traits we find in specialty coffee. 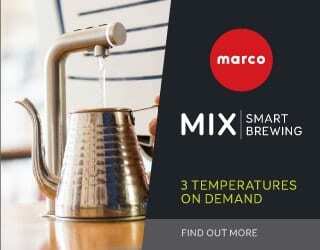 They are things every third wave roaster should aspire to have. Uncle, in his 70s, has been brewing coffee like this since his early teens. 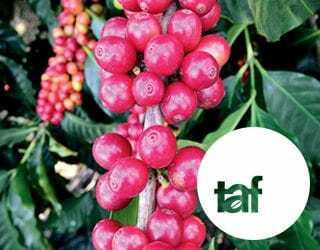 Will Hainanese Coffee Die Out? Just 18 months ago, Kenny invested in another roasting facility – one that specializes in espresso-based coffees. He’s expanding to meet the demands of Penang’s trendy cafés. For Kenny, business is good. His roaster has four roasters, churns out an average of a thousand kilograms of coffee a day, and operates from 7am till 2pm. Many third wave coffee roasters in Penang only produce one third of that, at most. And it’s not just the laborious work and competition from the third wave. In 2015, the federal government introduced a Goods & Service Tax (GST). Costs went up, and Kenny tells me that as a result, eight local coffee roasters were forced to close down. 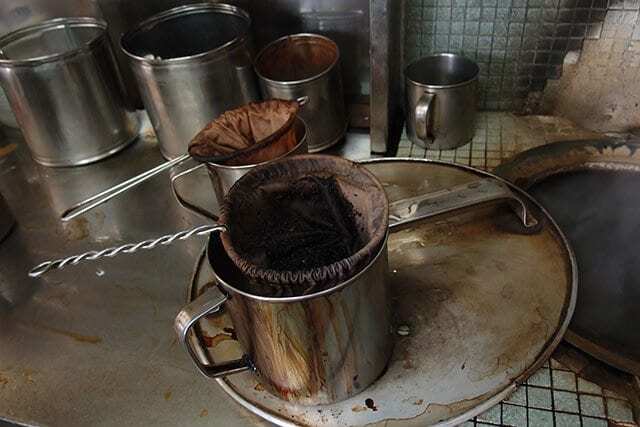 Should we mourn the loss of traditional Hainanese coffee roasters? 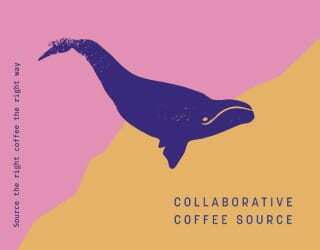 Many third wave café owners grumble about customers who prefer darker caramel coffee and fail to appreciate the acidic or fruity notes found in light roasts. Yet there’s much that we can learn from kopi O and traditional roasters. 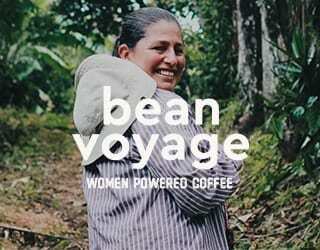 They work with heartfelt passion and exquisite care over every roast. 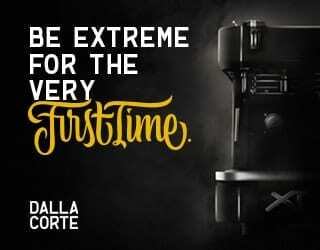 They work to offer customers a unique taste, one that they believe is truly special. Instead of seeing this as Hainanese coffee vs the third wave, perhaps we should see that we have the same aims – just different methods. 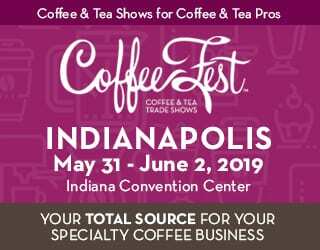 And perhaps we can look at all the aspects we can adopt, so that we can serve our light roast specialty coffees with as much care and conscientiousness as possible. Written by Jasmine Toh. All photos by Jasmine Toh.